I have a very large site with about 1000 pages. Performance is very good after setting up a cron job. If you clear the cache, all pages need to be regenerated. Of course you can wait until your visitors have requested all your pages, but then they will experience a significantly slower page load. 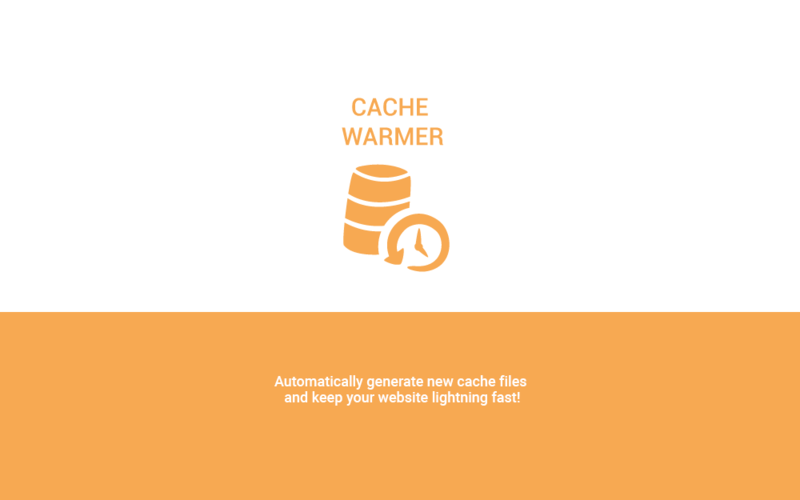 Cache Warmer can automatically generate cache files for pages that have Full Page Caching enabled. 2. Run the Cache Warmer job automatically via a cron job. I recommend option 2. You can set the crob job to run each minute. It will simply exit if no pages need to be rewarmed. No SEO penalties because a page load slowly. Cache can be regenerated automatically. If you need help setting up Automated Jobs, please read the installation page. If you'd like to know more about how this add-on works, read the FAQ page. Versions above 2.0.0 support a CLI mode with progress bar. This add-on is used on my personal website.